FASTENICA S.r.l. is a private limited liability company – SME, established in the year 2008. It is a spin-off company of Scuola Superiore Sant’Anna (SSSA), Pisa, Italy. 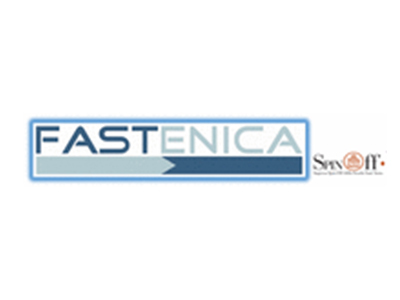 FASTENICA’s mission is devoted to both industrial and market exploitation of technical and scientific results, the company was involved in several local, regional and European projects. Some of these projects are: NEUROBOTICS (FP6-IST-FET-IP), ARAKNES (FP7-ICT-CH3-IP), EVRYON (FP7-ICT-FET-STREP), Robot-Era project (FP7-ICT-CH5-IP) and SPRAYBOT (ECHORD project). The multidisciplinary team of FASTENICA aims to provide “turnkey” solutions in the supply of products, services, research and development within the areas of advanced robotics, biomechatronics, mechatronics and ICT such as mechanics, actuation/transmission, sensors, electronics, control, system integration, human-machine interface, etc.